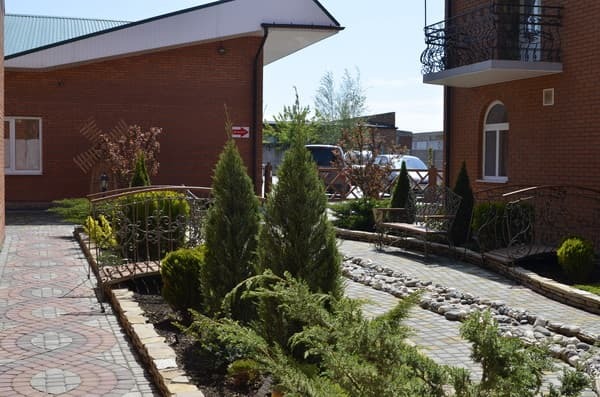 Hotel "Barvinok" is located in the center of the village. 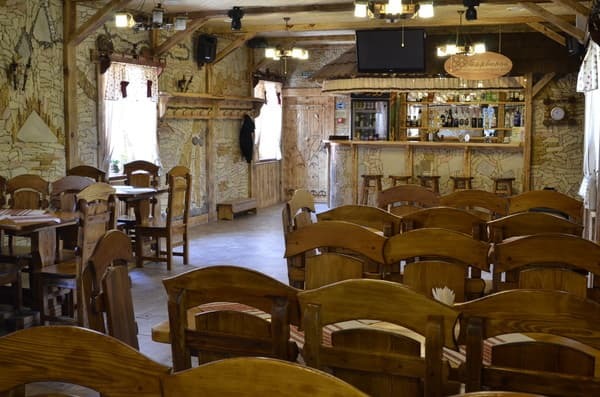 Priazovsky, 16 km from the coast of the Azov Sea. The hotel has 5 comfortable rooms. There are two, three and four-bed rooms with all conveniences. 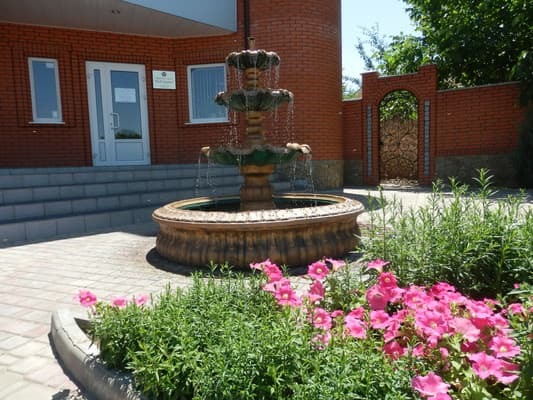 Each room of the hotel "Barvinok" is well furnished, there is a TV, air conditioning, refrigerator, telephone, shower. All rooms have satellite TV and free Wi-Fi access. Guests can dine at the cafe, which works on the second floor of the Barvinok shopping and recreation center. Guests can be offered massage services, a gym and beauty salon for an additional fee. On the territory of the hotel, and the whole complex as a whole, there is a large guarded parking lot for cars in the yard. The distance to the railway station of Zaporozhye is 143 km. 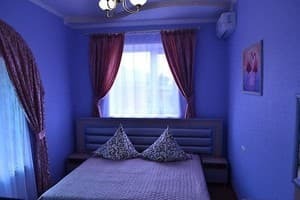 Description of the room: One room with bright colors. Description of the room: Compact room with the possibility of accommodating 3 people. 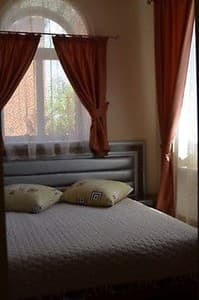 Description of the room: Cozy room in light colors. 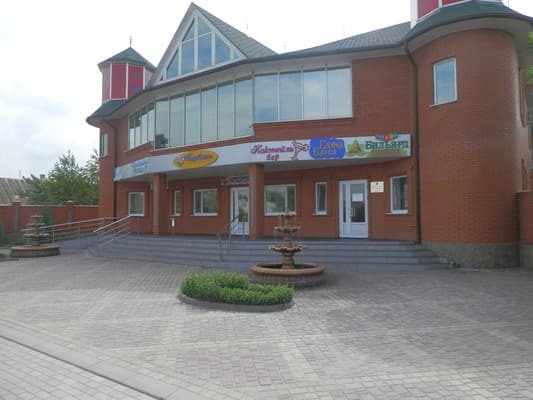 On the territory of the shopping and recreation center "Barvinok" there is a cafe where guests can eat. 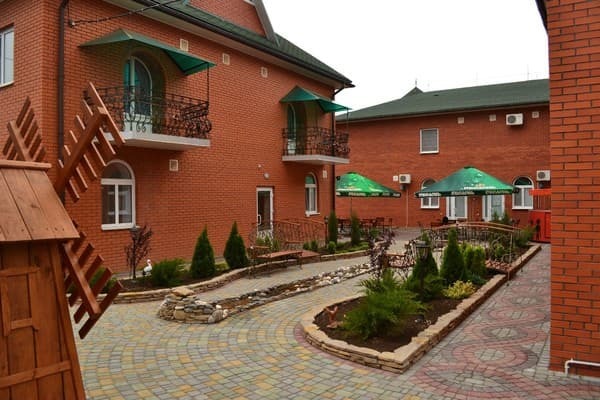 Hotel "Barvinok" is located in the center of the village. Priazovsky, 16 km from the coast of the Azov Sea. The distance to the railway station of Zaporozhye is 143 km. Shuttle bus. From the railway station in Melitopol. From the bus station: on foot 20 minutes.